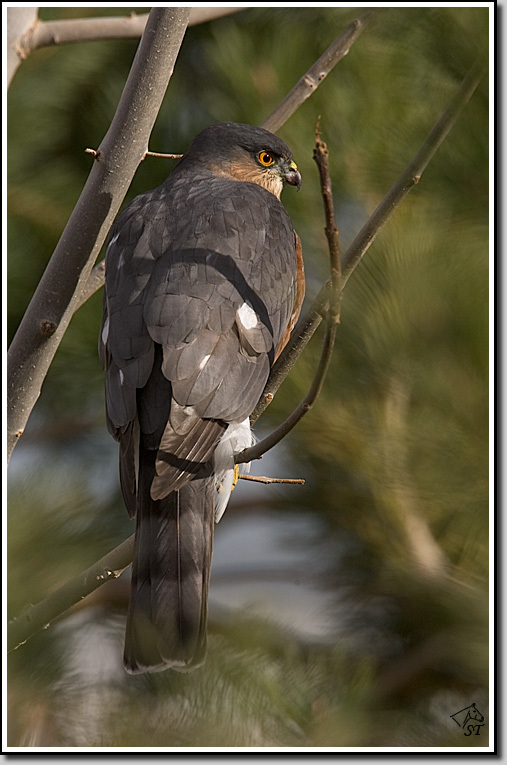 Photos of a Sharp-shinned Hawk in my backyard. So intense on the sparrows in the yard he didn't seem to mind my presence at all. 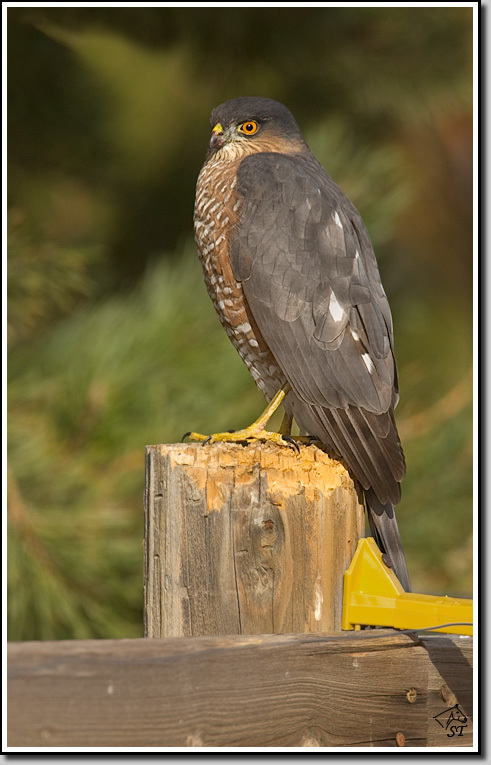 Sharp-shinned Hawk - Washoe Valley, NV. 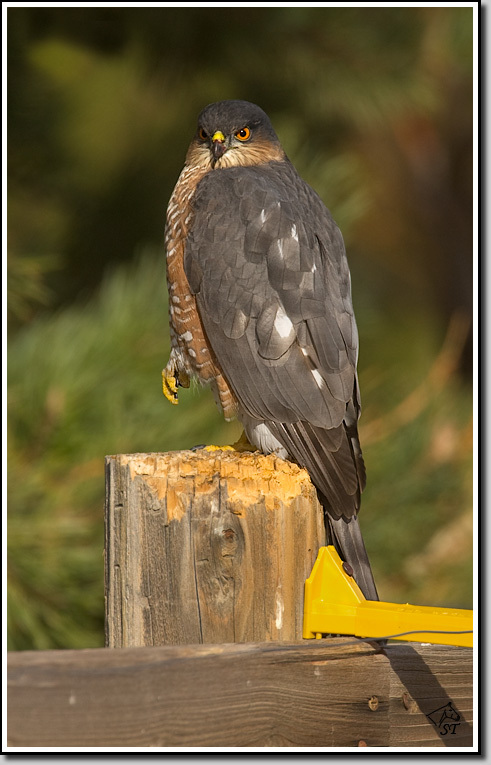 Note the square tail and narrow band at the tip of the tail.